Looking South on Hill Farm Road. Trees on the left of the road. 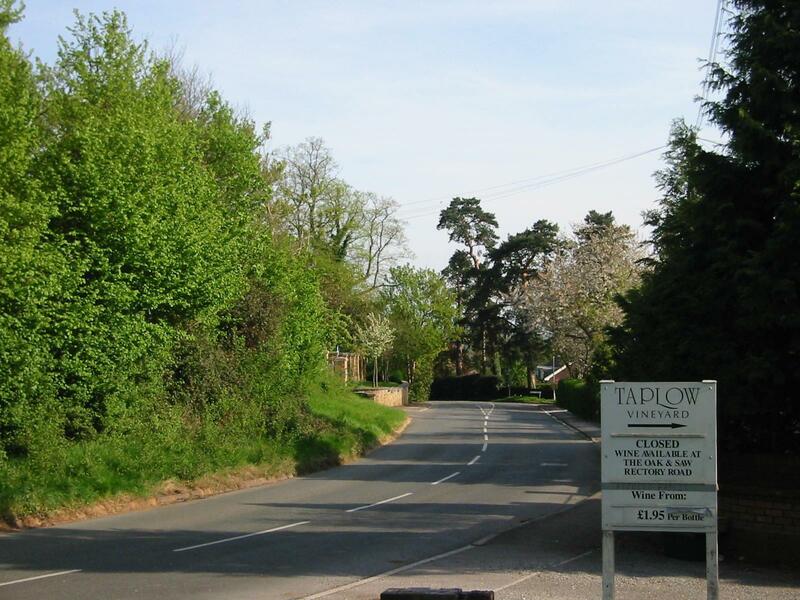 Sign for Taplow Vineyard on the right.